January 5, 2016 (Washington, DC) – Effective January 1, 2016, Hausfeld has elevated Timothy S. Kearns to partner in its Washington, DC office. Since joining the firm in May 2012, Mr. Kearns has played a leading role in numerous antitrust, securities, commodities, and other complex financial matters, including In re Foreign Exchange Benchmark Rates Antitrust Litigation and MTB Investment Partners, LP v. Siemens Hearing Instruments, Inc. In Foreign Exchange, Mr. Kearns played a pivotal role in briefing defendants’ motion to dismiss the consolidated amended complaint, which was denied last January. He also helped to negotiate settlements with nine defendants in the action; these settlements totaling more than $2 billion received preliminary approval in December 2015. In Siemens Hearing Instruments, Mr. Kearns helped secure a recovery of more than 100% of recognized losses on behalf of a class of former shareholders in HearUSA, Inc. that alleged they were misled into selling their stock at artificially low prices because of Siemens Hearing Instruments’ statements about HearUSA. 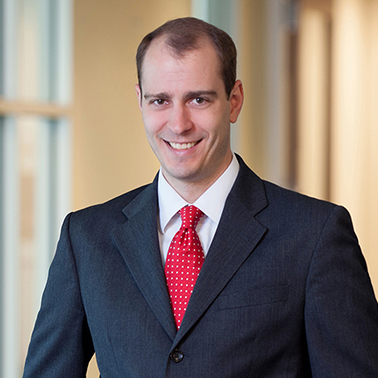 In addition to his litigation responsibilities, Mr. Kearns has served as the principal attorney supervising Hausfeld’s portfolio monitoring program. In 2014 and 2015, he was named a “Rising Star” in Washington, D.C. by SuperLawyers magazine. “Timothy’s versatility and dedication have already been tremendous assets to our clients and the firm. He has helped to expand our expertise while also adding value in our core antitrust practice. He has been a sterling addition to our team, and we are excited to welcome him into the partnership,” said Chairman Michael D. Hausfeld. A graduate of Iowa State University, Mr. Kearns received his juris doctorate with honors from Cornell Law School. He is admitted to the bar in Delaware and Washington, D.C.